Stephanie Brooke has graciously invited me to write an introductory note to the new edition of her book, Tools of the Trade II: A Therapist's Guide to Art Therapy Assessments, reflecting on my experience of creating and shepherding an art therapy assessment over the period of two decades. When I accepted her invitation, I had no idea of the complexity of the issues and feelings that would surface. In 1981, a couple of years out of graduate school, I moved to metropolitan Washington, DC. Once settled in our nation's capitol, I set out to create a national slide library of artwork representing the various psychiatric diagnoses. As an ambitious art therapist surrounded by national collections of "this and that," it seemed like a natural project to initiate. But I quickly found that I could not get adequate slide donations from senior practitioners and educators. For the most part, they did not trust the accuracy of diagnoses in samples submitted by others, and were understandably protective of their clients' work. It became clear that I would have to create the collection on my own, from scratch. Spontaneous works and those made in art therapy sessions cannot be compared for diagnostic research purposes. Differences in materials, formats, and directives make it impossible to compare "apples to apples." So I decided to develop a standardized format for creating a series of pictures that would ultimately allow clinicians around the country to compare artwork by clients, along with a standardized research format for studying these pictures. And that is how the Diagnostic Drawing Series (DDS) was born around 1982. My supervisor, art therapist Barbara Lesowitz, and I created a three drawing tool using twelve square chalk pastels and three sheets of large format white paper that could reflect a rich profile of behavioral and psychological information about the artist/patient by using rating criteria that were primarily based on pictorial structure, instead of the traditional narrative content. We were encouraged by psychiatrist Thomas Wise to improve the project's potential for publication by obtaining concurring diagnoses from a pair of psychiatrists for each client in the DDS research sample. We began to collect DDSs within our hospital corporation's several facilities for our first pilot study. Soon after, Lesowitz left town (and subsequently the profession), but fellow art therapists Anna Reyner and Shira Singer joined me in completing that pilot study, which eventually won us the Research Award of the American Art Therapy Association (AATA) in 1983. 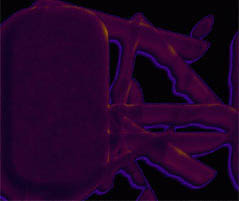 From the beginning of this adventure, I have enjoyed receiving inquiries from clinicians in this country and overseas. Mail crossed my desk from the former Soviet Union, Australia, Israel, Italy, Belgium, Great Britain, Norway, and other far-flung places around the globe. In addition to the letters and lovely postage stamps, the idea that people all over the world had heard about the DDS and were interested in using it with their clients was very gratifying. In fact, I met my future colleague/collaborator/wife, Anne Mills, when I was invited to speak at my first international art therapy conference, in Canada, in 1984. Training workshops around the country have always been a wonderful way to spread the word, see hundreds of new examples, and to learn more about the DDS from our participants. In particular, a number of trips to the Pacific Northwest were wonderful experiences. A couple of these were organized by our west coast DDS Training Associate, art therapist Kathryn Johnson, who is currently completing a DDS study on bipolar disorder for her doctoral research in psychology. In recent years, the founding of multiple DDS study groups in the Netherlands has been among my greatest rewards for the often grueling and relatively thankless time spent writing criteria, rating drawings, working with statisticians, shooting slides, responding to inquiries, spraying pictures, preparing presentations, publishing articles, and mailing out packets during those early years. A few short weeks after 9/11, Anne and I traveled to Utrecht to teach a two day introductory DDS training session, along with our European DDS Training Associate, Jon Fowler, who is now based in England. It was followed by a special master class with Dutch study group members. This was our second invited training trip to Holland, but the first to be held inside a windmill! The warmth of our hosts and their avid interest in our work stood in sharp contrast to those horrific recent events, and resulted in the most memorable experience of my career as an art therapist. Looking back at my reaction to the welcome given us - really, to the DDS - in Holland, I am certain my response was somewhat exaggerated by many of the challenges and disappointments that I have faced in raising the DDS to adulthood here in the United States. Although the last twenty years has been a interesting and pivotal time for the field of art therapy assessment in this country, it is highly unlikely that there will ever be a broad level of interest in art therapy diagnosis and research here in the United States. Our Dutch colleagues have told us that their interest in the DDS stems from the lack of such information in their training, which is primarily oriented to process issues. But what about American art therapists and their training? Could it be that American art therapists are so well instructed in this area that they have no need for continuing education? To my knowledge, many of the faculty that teach the DDS to graduate students, or supervise their use of it, have never themselves taken the requisite training (now two days in length, because of the time necessary to convey and integrate the material through practice), yet they feel competent to teach it, write about it, or critique it. Naturally, the vast majority of American art therapists are less interested in, or comfortable with, assessment or evaluation than clinical work; it stands to reason that art therapists would much rather engage in the activities they are trained to do, such as making art with their clients and otherwise helping them to heal. Moreover, as a general rule, artists tend to shy away from anything that smacks of scientific studies, especially those that involve numbers or statistics. Rather than turning to established, and even validated, art therapy assessment tools like the DDS, art therapists seem to prefer creating their own highly idiosyncratic assessments to use with their clients. Stephanie Brooke's, Tools of the Trade II: A Therapist's Guide to Art Therapy Assessments, is mercifully lacking these creations. However, their annual proliferation points to the naiveté among practitioners who believe that pairing a metaphor with drawing materials is all it takes to make a useful art therapy assessment. And their acceptance annually by the conference program committee may appear to some, I believe, to be a tacit form of approval or endorsement. So, when art therapists create an ongoing flow of novelty assessments without investing the necessary years of work to render their tools meaningful, who suffers? In my opinion, when they persist in assessing their clients with them and proudly encourage others to use them at our annual conferences, we all do. I believe that many art therapists simply do not understand or accept the importance of evidence-based work, or explicitly reject standards that the DDS project is based upon, such as objectivity, replicability, and the scientific method. This split in the field is reflected in the American Art Therapy Association's current ethics standards on assessments. The introduction of the DDS was an important step away from simplistic, psychoanalytically-based symbol analysis in art therapy. In devising rating criteria for the research component of the project that were primarily based on pictorial structure, not narrative content, I was rebelling against what I felt were the "touchy-feely" roots of art therapy, which came of age in the late 1960s. At the time, I noted that I was trying to help art therapists in psychiatric facilities identify and develop essential skills to deal with the arrival of diagnosis-driven short term treatment. But back in the 1980s, many influential art therapists did not want to "label" their patients; nor did they want to deal with numbers or statistics. They saw the research-associated DDS, which was designed to be equally useful to clinicians from all schools of psychotherapy, as somehow contrary to the values of humanism, psychodynamic psychotherapy, feminism, spirituality, and intuition. Once the "hardball" managed care era of the 1990s hit, art therapy positions were seen as luxuries and staffing was cut around the country. Art therapists had little to point to that would show their budget makers why their skills were necessities, especially at higher salaries than recreational therapists, and not reimbursable, either, like occupational therapists. Had the art therapy profession taken a bit of preventive medicine with some outcome studies and the like, perhaps some jobs would have been saved, and the field would have moved forward by now. Just recently, for instance, a young sniper's portfolio of jailhouse drawings was entered into evidence by the defense in a highly notorious murder case, which was tried nearby an art therapy graduate training program. Was a single art therapist called in to look at the pictures and offer a professional opinion? Did the attorneys on either side call for an art evaluation in a case being tried on an insanity plea? Please prove me wrong; this was our profession's best chance to enter the national dialogue on anything, and we clearly missed out because we had not prepared the way. The media and legal professions do not yet realize the unique assessment and diagnostic skills that art therapists have to offer because our profession is still ambivalent about them, and has not promoted itself effectively, if at all, in this regard. Little did I realize back in the early eighties that the creation of a valid art-based assessment, especially if it is correlated with psychiatric diagnostic nomenclature, is ultimately a lifetime's work. And it is not just one person's lifetime work. Like other things of importance in this world, it definitely takes a communal effort. But, as Anne Mills has pointed out in one of her conference presentations, everyone thinks that research, like dirty dishes or other forms of housework, is up to somebody else to do. And once someone comes forward and actually does it, they are roundly criticized, and usually by people who have not read, studied, or even understood their work. In fact, the DDS has taken more than its share of misinformed critiques over the years on this side of the Atlantic and abroad, largely because it a highly visible target. The DDS, as I originally conceived it, was a multifaceted project with a number of ambitious but viable goals, most that I believed could be achieved within a matter of years through the support of my fellow art therapists. And I was correct in my assumptions to a certain extent. The resource library of DDSs has grown to over 1000 sets over the years. But the amount of samples submitted over the past decade or more has been minimal, especially when considering the number of students who graduate from training programs annually, and the thousands of registered practitioners in the U.S. alone. Still, after twenty years, our achievements as a worldwide network of collaborating clinician-researchers are significant and many. The DDS offers a quick and easy-to-administer art interview, which, through associated research has a large centralized library of carefully collected standardized samples, along with an unparalleled body of multicenter studies by multiple investigators from around the world; add to this its status as the first major scientific study correlating art productions with psychiatric diagnoses. Also, through its handbook of defined structural criteria, the DDS Project provides an objective, common language to describe pictorial communications. It was the first art therapy assessment to norm the art of "healthy" adults, and arguably the first projective drawing tool ever to do so. And, after two decades of use and study, published DDS research has achieved a level of validity unprecedented in the study of art expression and psychiatric diagnosis. As early as 1993, the number of published validity and reliability studies on the DDS effectively doubled the total number of such studies in the entire art therapy literature. Additionally, the DDS has become the best known and most commonly taught art therapy assessment in the US, and possibly the world. The DDS, first presented publicly at an AATA conference in 1983, first entered the published literature in 1985, when the handbook was made widely available. Also that year, the test itself was profiled in the American Psychological Association's Monitor, prompting a good deal of interest from psychologists. An overview in a Dutch psychological journal appeared in 1986, and the first DDS research results were presented in the expressive therapies literature in 1988. The DDS was featured on National Public Radio's "All Things Considered" in 1984, and illustrated in two college psychology textbooks in 1987. Approximately 35 DDS studies have been completed to date; some are replication studies, but most norm different DSM diagnostic groups. They include: Nonhospitalized controls, children & adolescents (Leavitt, 1988; Neale, 1994; Shlagman, 1996); adults (Cohen, Hammer, & Singer, 1988; Morris, 1995); and seniors (Couch, 1992). Schizophrenia (Cohen, Hammer, & Singer, 1988; Mills & Yamashita, 1996; Morris, 1995; Ricca, 1992). Mood Disorders, Major Depressive Disorder, children & adolescents (Leavitt, 1988); adults (Cohen, Hammer, & Singer, 1988; Morris, 1995); Dysthymic Disorder (Cohen, Hammer & Singer,1988); Bipolar disorder (McHugh, 1997). Dissociative Disorders, Dissociative Identity Disorder (Fowler & Ardon, 2000; Heitmajer & Cohen, 1993; Kress, 1992; Mills & Cohen, 1993; Morris, 1995; Ricca, 1992), Dissociative Disorder Not Otherwise Specified (Fowler & Ardon, 2000). Eating Disorders (Kessler, 1994). Borderline Personality Disorder (Mills, 1988). Posttraumatic Stress Disorder (Des Marais & Barnes, 1993). Dementia (Couch, 1994). Adjustment Disorder, children (Neale, 1994). Conduct Disorder (Neale, 1994). There are many directions in which the DDS Project and its myriad offshoot studies could be developed in the future. Perhaps some of the present generation of art therapists who have been educated in the importance of reliable and valid art assessment tools, as well as other professionals, will explore ways to expedite the completion of this valuable and still ongoing work. In an aspect of the field almost devoid of scholarly research until relatively recently, we've made a great deal of progress, even if the definitive DDS book is not on your local merchant's shelf. . .yet. 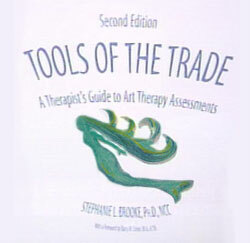 I think the most important goal of Stephanie Brooke's book is its attempt to digest and accurately report on a lot of detailed material for people who would otherwise not take the time to do it for themselves, but who are conscientious, and know that choosing an art assessment must be a well-informed decision, not one simply dictated by training program bias. Keep that in mind as you read on.